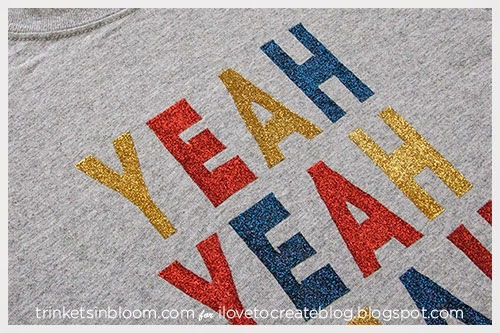 It’s easy to create fabulous colorful graphics on t-shirts with Tulip’s Iron-On Transfer Sheets. 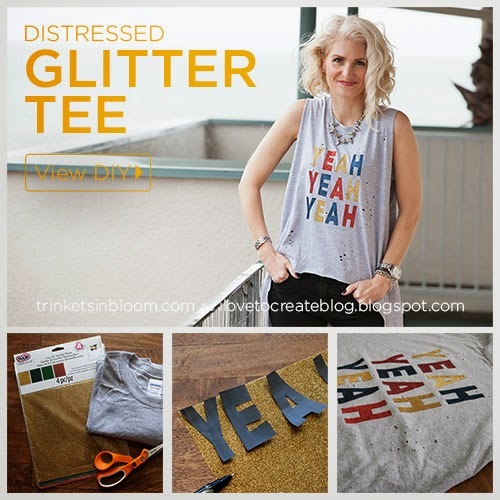 Personalize your tee and create some distress with a high low hem for a super chic tee you can pair with jeans, leggings or even a skirt. I love the unexpected length in the back mixed with a cool graphic and an old school feel on the front. 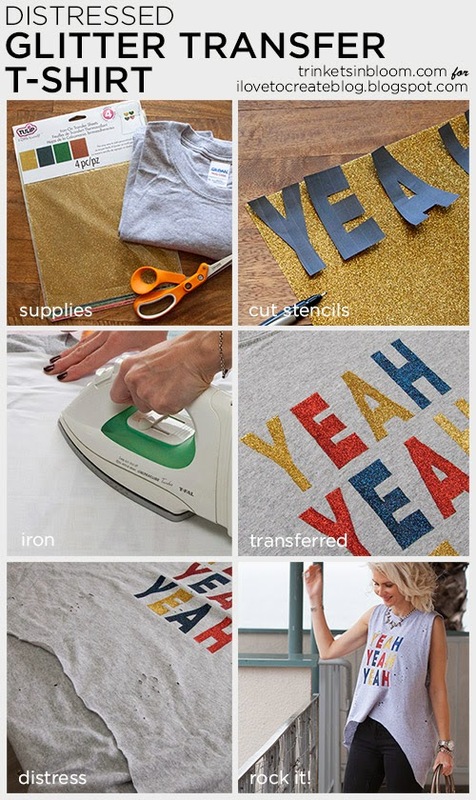 These transfer sheets work so well and so quickly you’ll want to make a ton! Let’s get started! 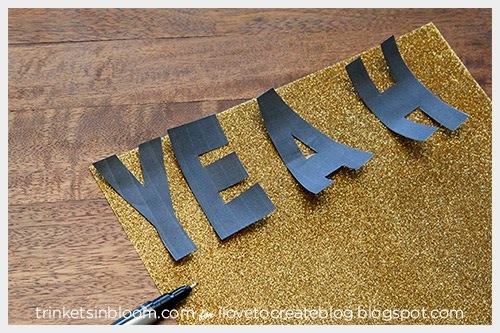 If you have letter stencils you can use those, otherwise you can write out or design your own on paper. 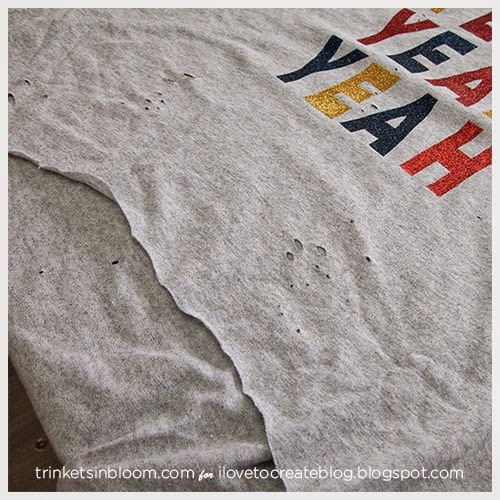 Trace around your stencils onto your transfer sheets. Use a marker for this, I found the Tulip fabric markers worked best. Otherwise it was really hard to see my lines, especially on the darker colors. 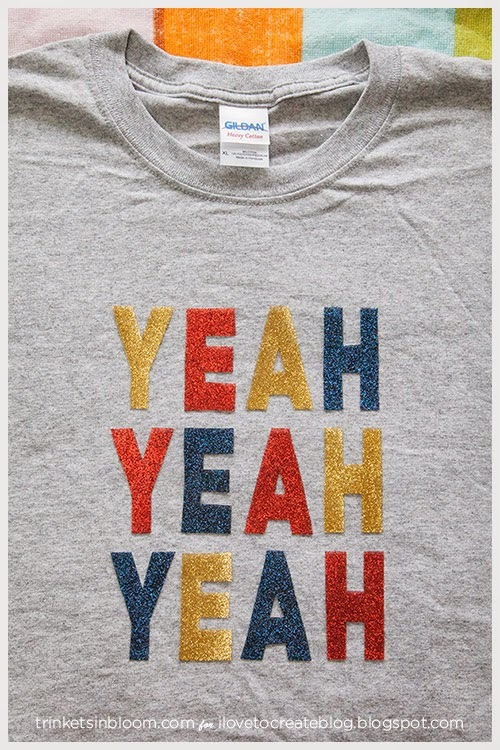 Layout your words on your t-shirt. Be sure to start about 2 to 2.5 inches down from the neckline (below the ribbing) for the top of your letters. Once you have your letters laid out the way you want them place a thin cloth over the top of your letters. Be careful not to move the letters as you do this. 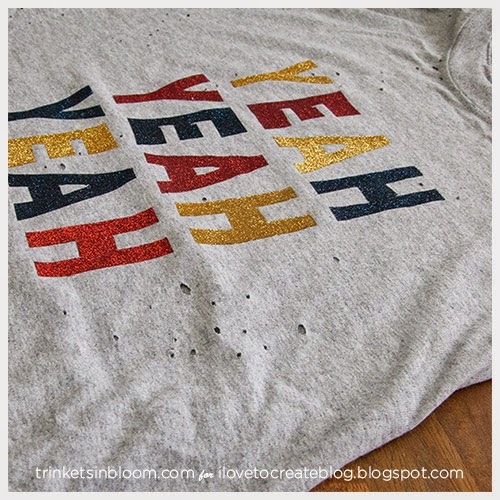 Press your letters onto your t-shirt. 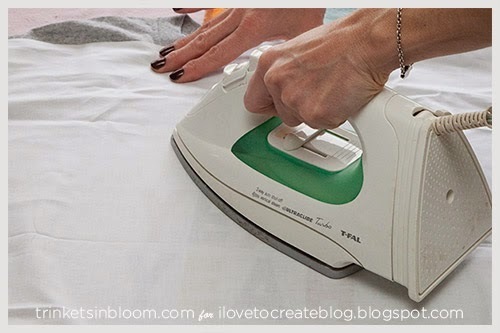 Keep your iron moving in smooth circular movements. 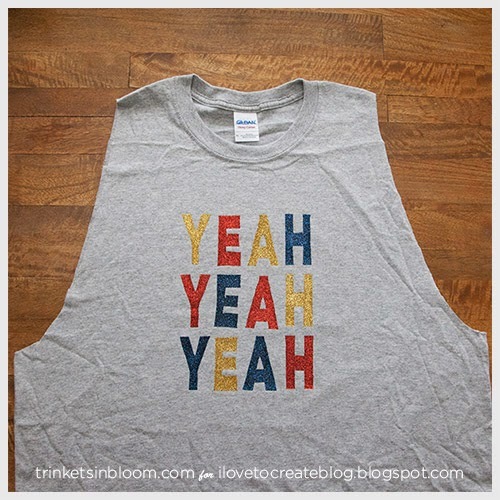 Do this for about 5 minutes or until your letters have adhered to your t-shirt. My t-shirt is an XL (normally wear a S), this gave me a lot more length and room to create a more swingy shape like I wanted. 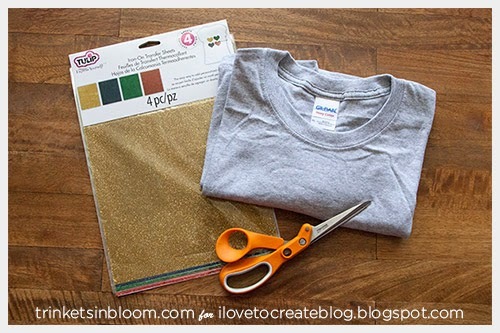 Put your t-shirt on and mark on the shoulders where you want to cut. 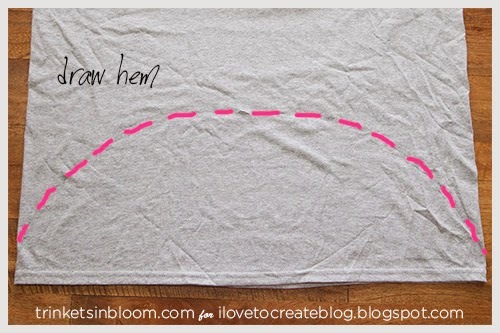 You should also mark the front of your t-shirt about 2 inches or so below your waist where you want the front of your shirt to end. 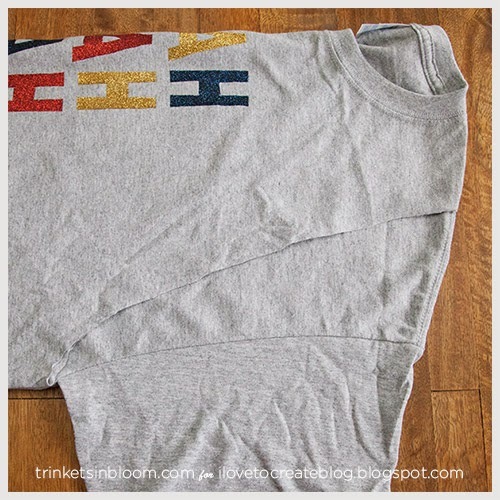 Lay your t-shirt on a flat surface and cut in a slight curve from the armhole up to where you marked on the shoulder. Fold your shirt in half and cut the other side the same. 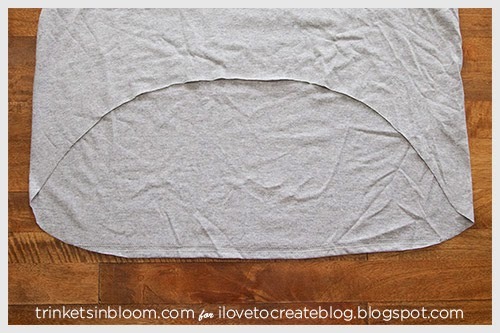 Lay your shirt out on a flat surface. Use a pen or pencil to mark a curve across the front blending down towards the black. This will make the high low hem. 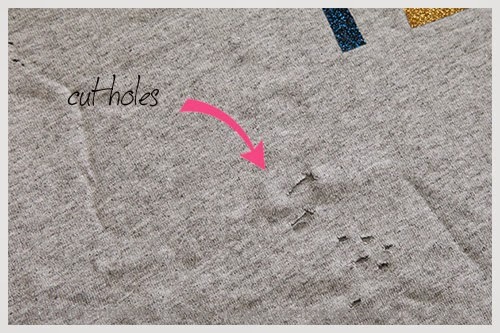 Using your scissors cut small holes all over your t-shirt. I clustered my cuts and varied the sizes to make them look a little more natural. After you’ve made your cuts, put your hands on either side of your cuts and pull, this will also help to make them look more natural. 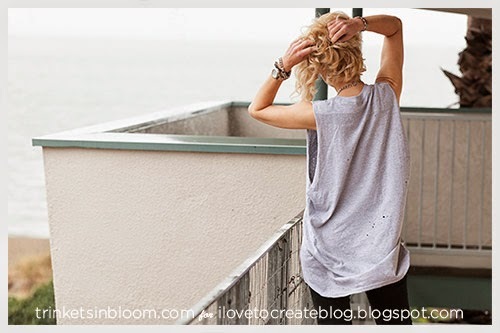 To see more fun fashion DIY’s check out my blog Trinkets in Bloom and follow me on Facebook, Instagram, Twitter and Pinterest. WoW!! this is a very good idea... 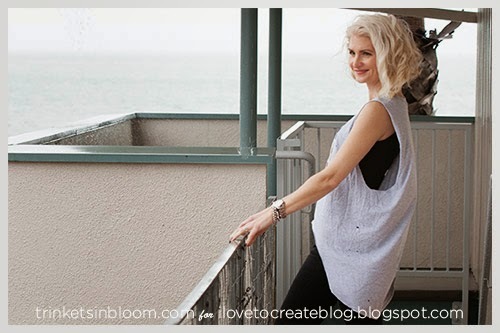 I love this blog DIY..... Superb!! You are the bomb. love it!! !